Tonight, a very long and important tradition expires: Microsoft will give its last CES keynote. Yes, this is the last time that Ballmer will alight to the stage and take an hour of our lives to explain why Microsoft is still an industry leader. Now, what are we to expect from the speech? Nothing that will blow your hair back. Your opinion on the importance of CES notwithstanding, the next major release from Microsoft (the Windows 8 beta) is not due for another month, and so Microsoft can hardly do more tonight but give out new figures, such as new notes on how many copies of Windows 7 that have been sold, or the number of Kinects moved in 2011. The company could release the number of Windows Phone handsets sold during the holiday sales cycle, but I doubt it. 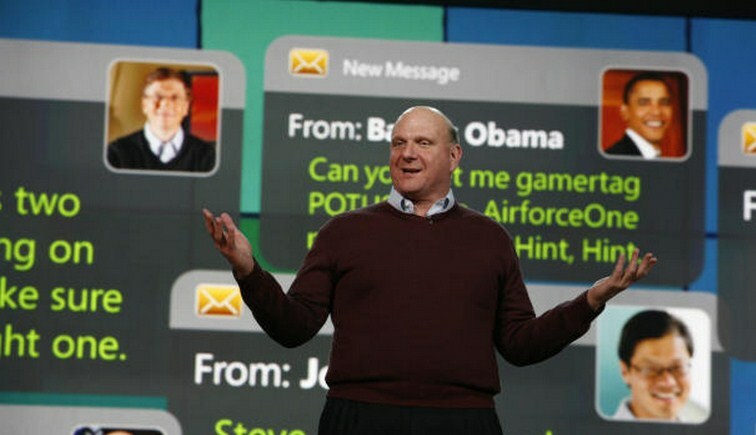 Windows Phone will be a part of the keynote, and as Nokia has its event before the Microsoft speech, Ballmer will be free to comment on the Nokia Ace (Lumia 900) if he so chooses. Expect the Xbox team to make noise. After all, this is the year that they get to release a new console, but have to keep hyping the Xbox 360 until the bitter end. If sales figures are not brought up for the three major consoles, a comparison that favors Microsoft, I will be surprised. These are early notes, but if you can think of a major, and growing component of the Microsoft empire, you can expect that it will at least warrant a mention tonight. After all, Microsoft has all the world’s attention for so long as it keeps the lights on over the stage. Gear up. TNW will be covering the keynote as it happens. Read next: Google's at CES too, will we hear more about that tasty new Galaxy tablet?